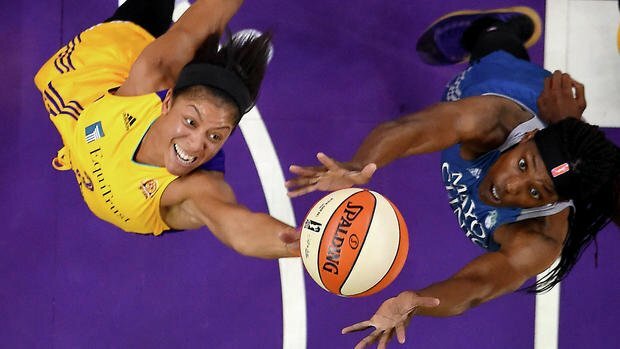 Los Angeles – The race for the top seed in the WNBA playoffs got tighter Sunday, as the Los Angeles Sparks used dominating defense to beat the Minnesota Lynx, 78-67. The Lynx needed just a single win to secure the No. 1 seed, but stifling Sparks defense resulted in 18 turnovers for the visitors, who are still without injured point guard Lindsay Whalen. Los Angeles is now just a half game behind Minnesota for the top spot. 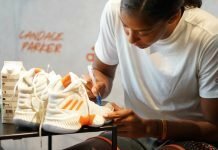 Candace Parker led the Sparks, in front of a sellout crowd of 19,282, with 24 points and 10 rebounds, while Chelsea Gray added 16 and Odyssey Sims, 12. The Lynx jumped out to a 6-0 lead to begin the game, and Los Angeles responded with a 6-0 run of their own. The hosts had a seven-point advantage at the end of the period. Twice in the second quarter, Minnesota whittled the lead to three points – the second at 5:07, when Maya Moore scored her first field goal of the game. But that ignited the Sparks to a 13-2 run to close the half up 46-32. In the third period Los Angeles clamped down, and inflated their lead to as much as 18 points. The Lynx came within ten points late in the fourth quarter, but could get no closer. 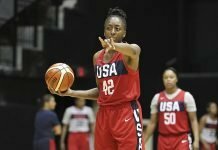 Sylvia Fowles scored 17 points and grabbed 14 rebounds for Minnesota, while Moore had ten points. Sparks coach Brian Agler said using strong defense was his team’s main focus, and that it all started with veteran guard Alana Beard, who guarded Moore. Agler also credited Parker for creating momentum. Lynx coach Cheryl Reeve said Beard’s defense hurt her team, as did their own performance. The Lynx have three regular-season games left this week, against the Mystics, the Sky and the now-fifth-seeded Mystics. The Sparks face the Dream and the third-place Sun. The No. 1 seed gets home court advantage during the playoffs, which begin Sept. 6.